New Retro Dining is proud to present our Made in USA Woodland Series traditional dining furniture. 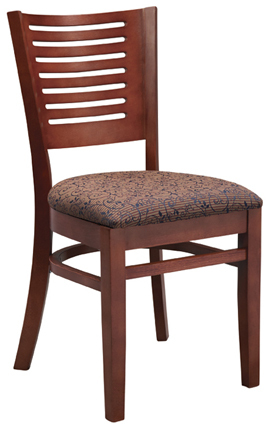 This wood dining chair with 6 horizontal slats is perfect for restaurants and bars or for your dining room set. This wooden chair has a limited 1-Year WARRANTY! Classic wood chair with 7 horizontal slats.